Pacha is as famous with clubbers from the superstar jet-set as with package holiday ravers, throwing deluxe parties in a stunning club setting whilst hosting nights from the worlds biggest DJs and labels. Over the years Pacha has hosted nights from David Guetta to Swedish House Mafia, Pete Tong to Luciano, Defected to Ministry Of Sound and this year with guests such as Steve Aoki to Solomun via Bob Sinclar, David Guetta and John Digweed. 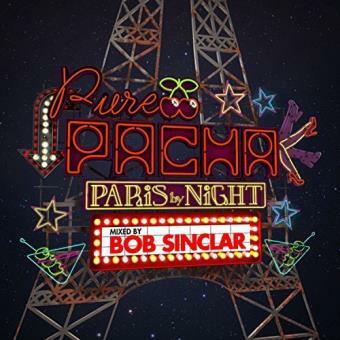 – This season, Saturdays are headlined by Gallic Supremo – Bob Sinclar. Besides his status as internationally renowned DJ, Bob is a music producer, founder and Yellow Productions label boss and remixer. With international success as: Love Generation, Wonderful World, The Beat Goes On, Hold On World, With its new hit "Feel The Vibes" Bon Sinclar is needed this year as the undisputed master of the House Dancefloor. Album highlights include the currently Radio 1 playlisted Joe Stone / Montell Jordan - The Party, Top 5 from Philip George - Wish You Were Mine, Michael Calfan – Treasured Soul, an exclusive Bob Sinclar remix on MNEK – The Rhythm, Bob’s latest single (no1 in France) – featuring Dawn Tallman – Feel The Vibe. Plus some of this summer’s hottest ibiza underground anthems from Arthur Baker, Owen Westlake, Tom Staar & Hardrive. 07 Hardrive - Deep Inside (Low Steppa Remix)? 17 Luca Debonaire - Get Em!